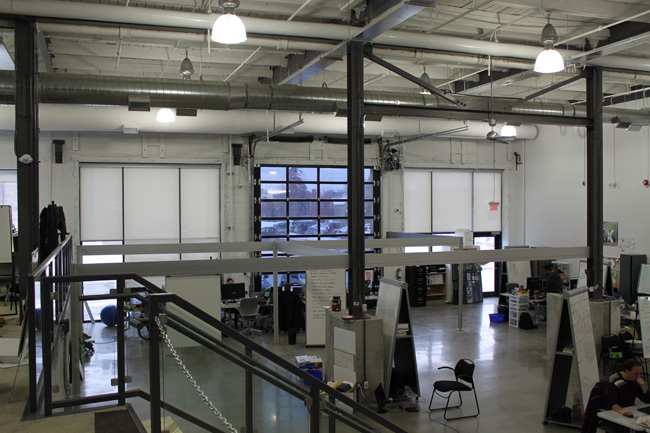 ProMark Window Film & Blinds supplied and installed manual-operated roller shades, privacy frosted film, and solar control film for the Communitech expansion at The Tannery. Communitech is a not-for-profit organization that supports technology-oriented businesses in the Waterloo Region, promoting the region as a technology cluster. Their programs and events connect professionals, promote the sharing of ideas, and the strengthening of businesses. 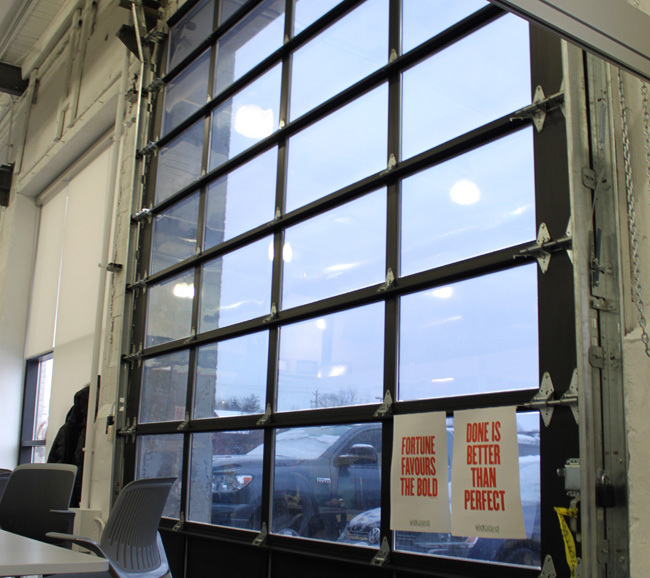 (Above) Madico Sunscape SL-8-DA-SR film was installed on a large roll-up door providing both reduction of heat and of glare, where roller shade application was impractical. 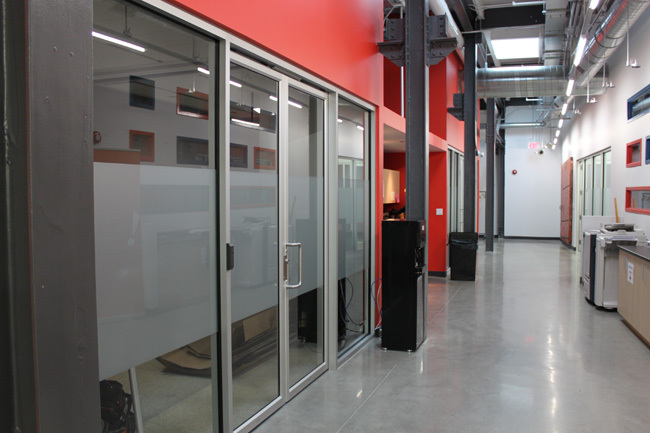 Etch K privacy film was added to all interior offices and meeting rooms to add privacy and to compliment the existing Communitech space. For more information please call 519-886-4564 or visit our contact page.